Ours is a school for girls. Down the street is our brother school, for boys. 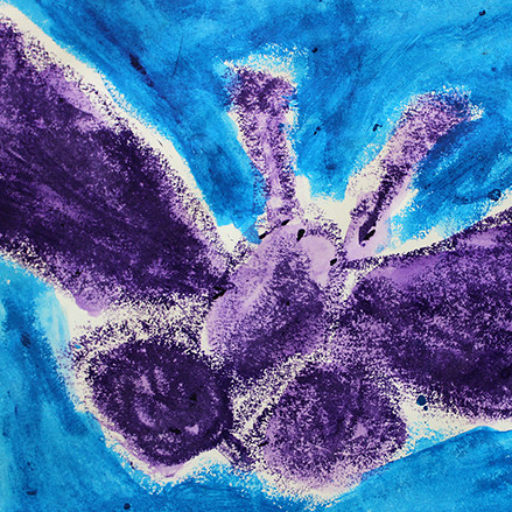 Many years ago, I had a conversation with my counterpart in Junior Kindergarten at St. Christopher’s about our observations in the block areas of our respective classrooms. 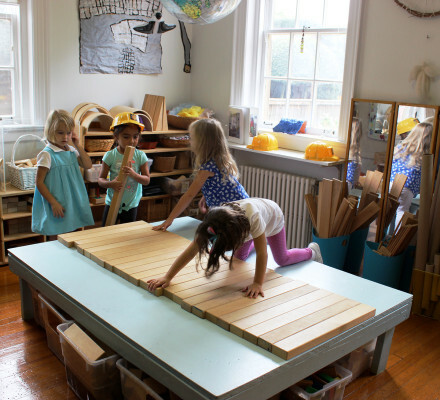 She characterized the building of the five year old boys in her class as “building tall and knocking down.” Rarely, she said, did the boys engage in dramatic play with their structures. In contrast, the girls tended to build low enclosures, quickly and usually without creating structural challenges for themselves, in order to have a place for toy-level dramatic play. We both saw the benefits of the kind of building that our students were not doing and decided to embark on a little experiment. She would offer microsphere toys…trucks, people, animals, and so on…and encourage the boys to pay more attention to what they were building as they built, so that their structures might take on possibilities for representation. And I would encourage the girls to build tall and find pleasure in it. Sadly, my colleague became ill not long after our experiment began, and she is no longer with us, so the study was never completed. But we continue with our “block curriculum” with the girls still, some 15 years later. 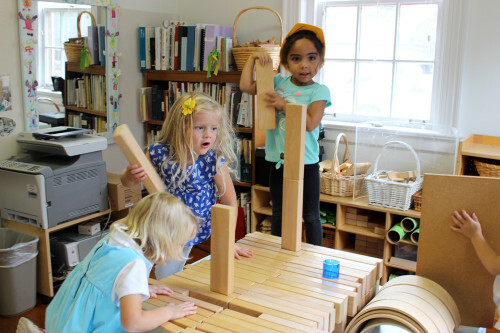 We have witnessed how building with blocks unlocks an enormous body of understandings about balance, numerical and spatial relationships, physics concepts, measurement, size, weight, and so on. We have had a chance to observe the role that construction can play in the growth of dramatic play toward narrative. We have seen how rich a language construction is for representation. Our efforts to encourage building tall seem to begin in a different way each year. We look for opportunities and inspiration, and somehow it always comes. Sometimes a parent will leave a tall structure on the block platform after Parents’ Night during the second week of school, and the children are inspired. Sometimes the girls will connect with some of the documentation on the wall or in notebooks of tall structures built in other years. And sometimes children will declare intent to build something that must be tall, giving us an opportunity to help them stay close to that intention, even if building tall is a new and somewhat frustrating experience. 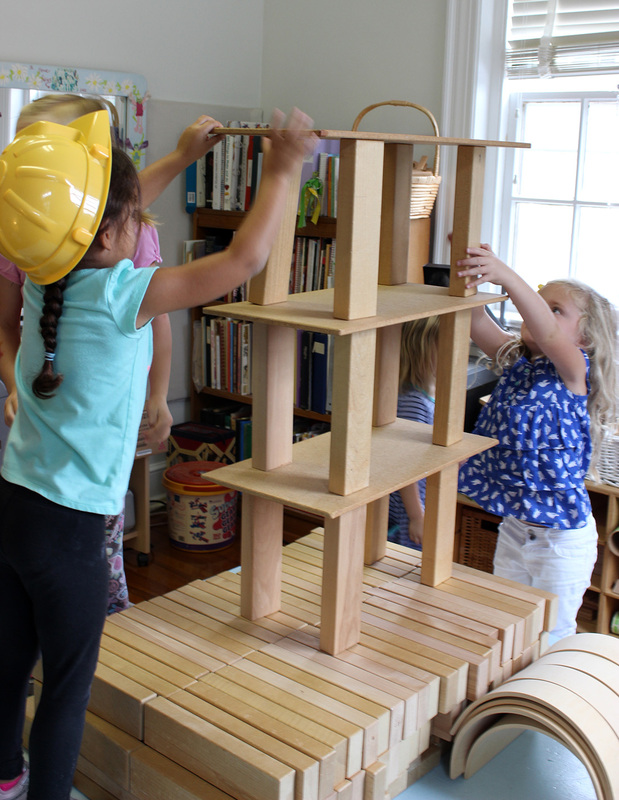 This is the story of one of this year’s first successful attempts to build tall…a “castle,” the children called it at times, though representing something particular did not seem to be the girls’ primary focus at first. Their intent was, simply, to build something really tall. For inspiration, the children looked at a notebook with photographs of big structures that were built in other years. They chose a structure to replicate, and they referred to its picture often. Although what they built was only approximately like the structure in the photograph, they used the documentation as “proof” when disagreements arose about how this structure was to be built. The builders choose a photograph to use as a referent for their tall building. First the girls spanned the length of the block platform with the longest blocks. But then Bella checked the photograph and said, “We used too many blocks.” So they shortened the “floor” and used the extra blocks to build up. The girls are nearly finished with the large foundation, upon which they plan to put the very tall and less stable upper part of the building. Berkeley sets out to build stairs from the platform to “the top of the building.” She is not bothered by the inconsistency between her awareness of the shared goal (to make the building much taller than it is now) and the height of her staircase. At first, Berkeley’s efforts to create a stair effect frustrated her. She kept trying, and eventually, she created stairs that satisfied her. The first attempt to build up from the foundation was disputed by those checking the referent. Attempt #2, this photo and the next 2. The children put a plank on top of two supports made with one long block on top of another. I knew that this would not be stable, but the girls did not. In fact, they built it like this three times, and all three times the structure toppled, with very little provocation. It seems that the children were not considering alternatives, and their faith in persistence in the face of frustration seemed to be waning. It seemed to be time to offer a bit of technique. So I showed them, away from the context of their structure, how supporting a plank with four blocks instead of two could make the structure more stable. They accepted the technique and were finally able to build tall. The children’s tall structure was fairly stable. However, the girls were not yet aware of the effect their movements had on the structures they built. Trying to make “walls,” they began to stuff fabric into the spaces between the planks, and, eventually, the entire top section toppled, much to their surprise. The children were not deterred (you might call this “failing forward”). The next day they returned right to their structure, now being called a “castle” by all, to rebuild the top. The focus remained on building as tall as possible. Even after the children declared the structure finished and had begun to decorate it, they were inspired to revisit the possibility that the structure could be even taller and, using a stool, they added two relatively short “layers” (as Sloane called them, naming the top one “the deck”) to the castle. Children came and went, but the project group stayed with the work for two days.